A chance to be a fairy. streaming from your pointed hat. with all that that implies. and adults only at this party. And twirl about in that petticoat. love the photo - so perfect. Have a great time twirling! Oh my gosh how fun!!! I am going to be a punk rocker. I love Halloween. Have a blast on Friday! i was told this past weekend by a woman who read my palm, "you must, MUST become a child again. make a point to play. get a hoola hoop and twirl." so. you in your pink petticoat, twirl along with me. i am right beside you. p.s. i love the turkish element to that parade! i clapped my hands and hooted! 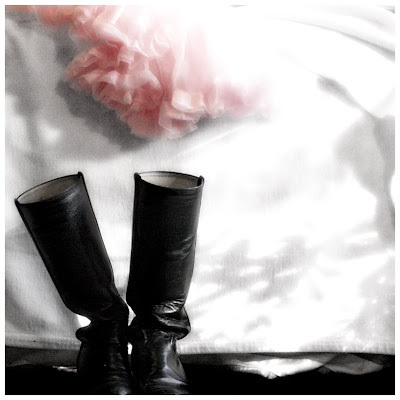 I love this image and the image of you twirling in a pink petticoat, what fun! Enjoy. My son keeps asking us what we are going to be for Halloween and I've been replying that I wasn't planning on dressing up but after reading this perhaps I should, just to play. I have to admit to some jealousy... I have nowhere to go on Halloween, and I so dearly love dressing up. I hope you have a lovely time, that sounds so wonderful. A gypsy camp in the forest...That sounds like the best kind of Halloween party...I hope you had a wonderful time twirling amongst the trees! what a marvelous way to view Halloween... this was such a wonderful post! Do we get to see a peak of a woman/child twirling in her pink petticoat? Never mind. I have the picture. Right here. Your words paint it so beautifully. Without the camera.